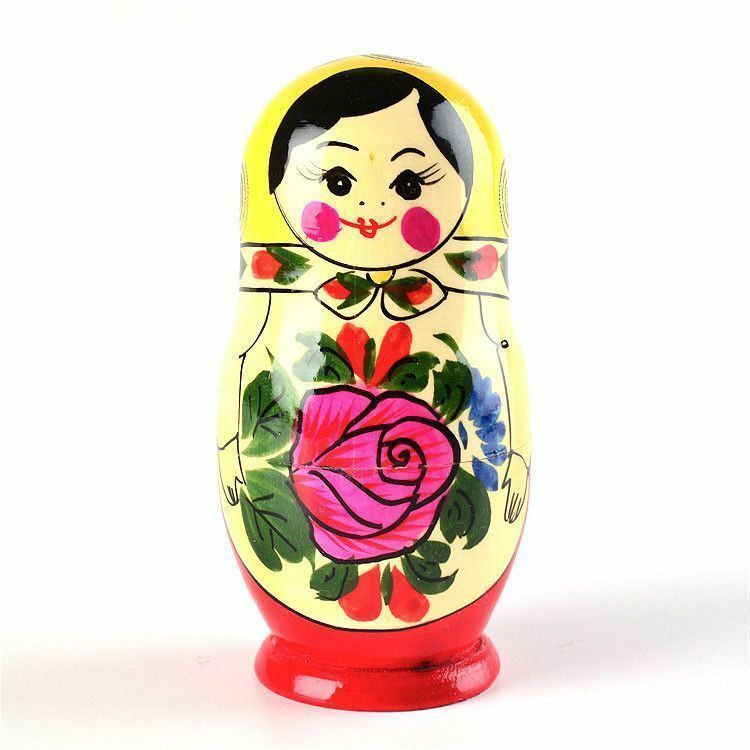 This lovely lady is an authentic, hand-painted wooden "Red Roses" Matryoshka Nesting Doll, symbol of traditional Russian folk art. 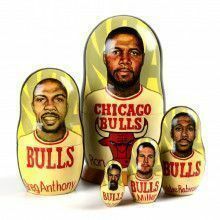 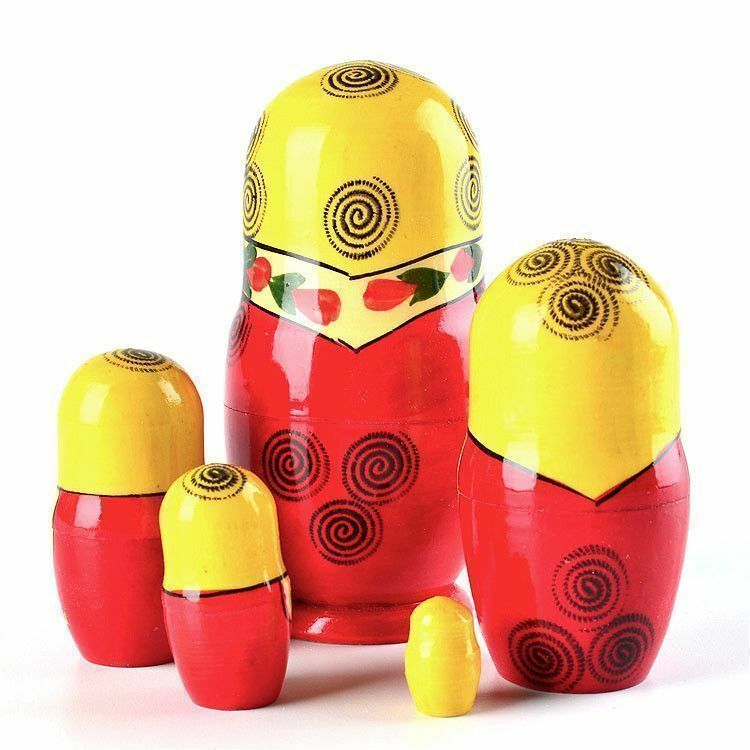 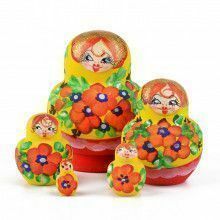 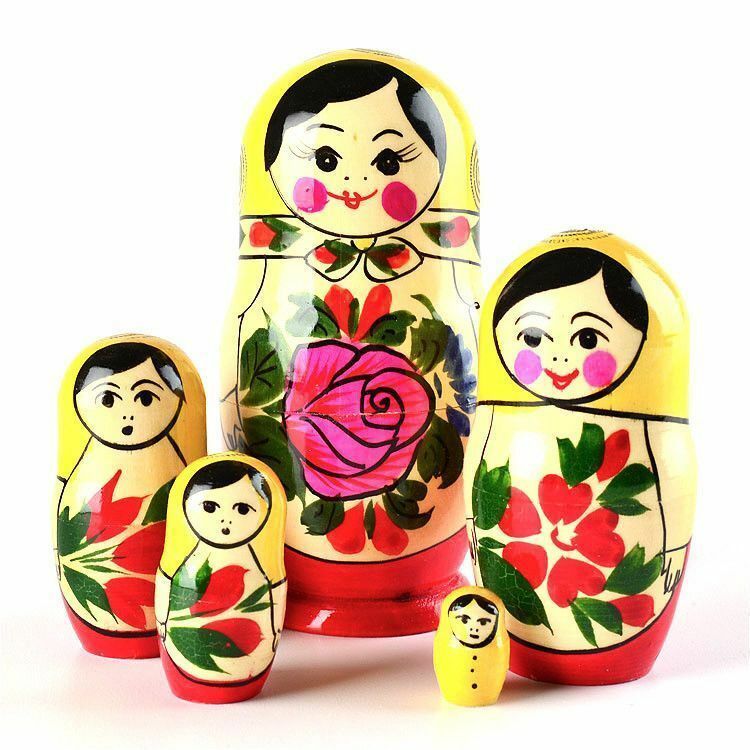 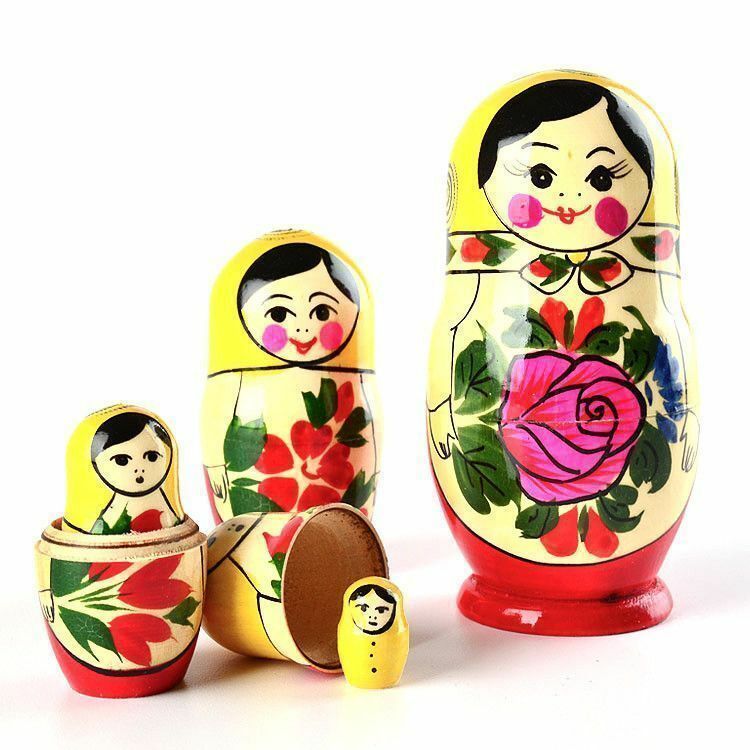 In Russian, the word Matryoshka is associated with family and motherhood. 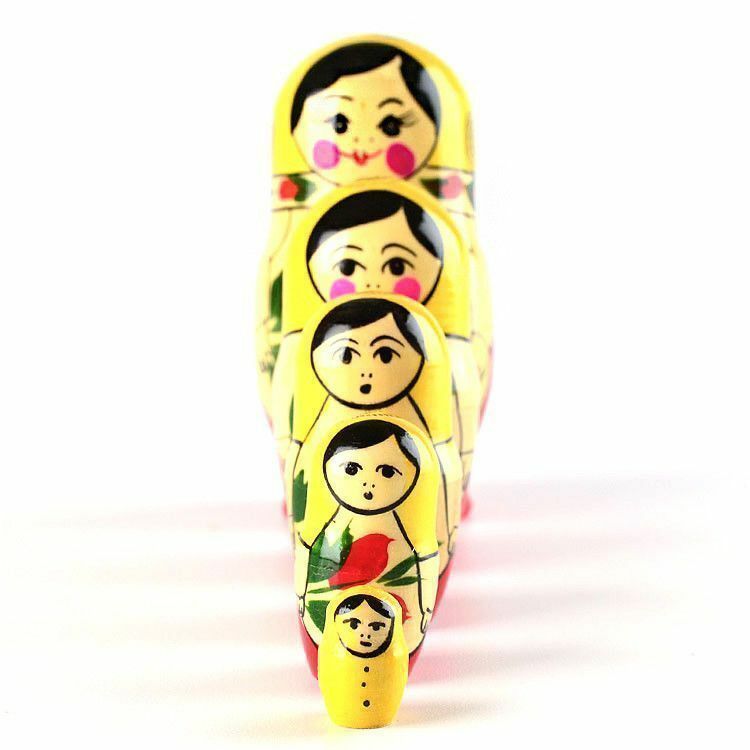 This doll holds 4 smaller dolls, making it a classic 5 piece stacking doll. 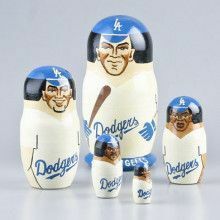 Approximately 4" tall, hand-carved, hand-painted, and gloss-finished.